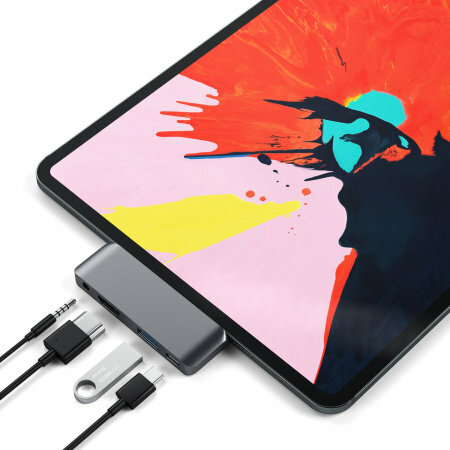 Using the USB-C (USB Type-C) port on your new iPad Pro 2018, add a full-sized USB port, restore the headphone jack, 1x USB-C port and a fully 4K compliant HDMI port to your iPad Pro. This hub offers astounding functionality and a sleek look. Expand your USB-C compatible iPad Pro 2018 with additional connectivity options with just one compact and light accessory. 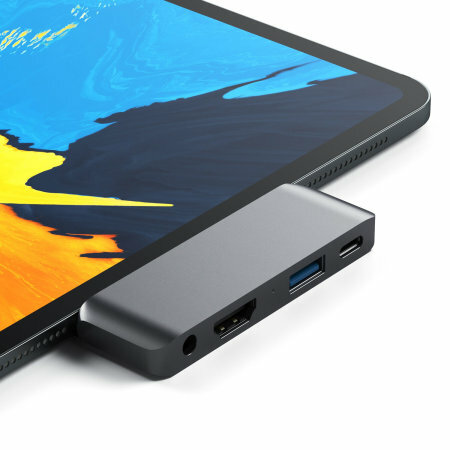 With the new iPad Pro becoming so thin to create an attractive design, the range of ports available in this limited space can be greatly reduced. 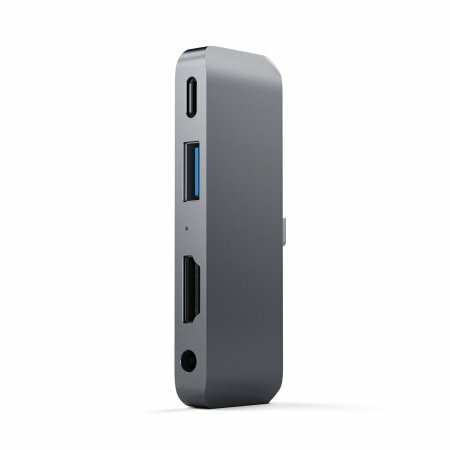 The Satechi USB Type-C Mobile Pro Hub expands the number of ports all in one handy portable device. Add a USB port to your iPad Pro and connect a wide range of media devices. These could include USB memory sticks, external USB hard drives, gamepads and connecting other USB compatible equipment. The USB 3.0 standard allows for blazing fast transfer speeds, so you won't be waiting an age for your photos, music, documents or any other files to move from your USB drive to your iPad. Using the USB-C port on this hub, you can continue to charge your iPad while you use the hub - ensuring you won't run the risk of losing important work, or your iPad dying halfway through your favourite TV show. This hub also features a 4K HDMI port for connecting to external displays such as monitors, TVs and more. Whether you're conducting vital presentations or relaxing with your favourite streaming media, this 4K HDMI port will be invaluable. The Satechi USB-C Mobile Hub also features a 3.5mm headphone port, allowing you to restore the headphone port on your iPad Pro 2018. Due to its small and lightweight design, the Satechi USB Type-C Mobile Pro Hub is the ideal companion for your USB-C compatible iPad. Easy to place in your bag or even pocket, portability certainly isn't an issue. 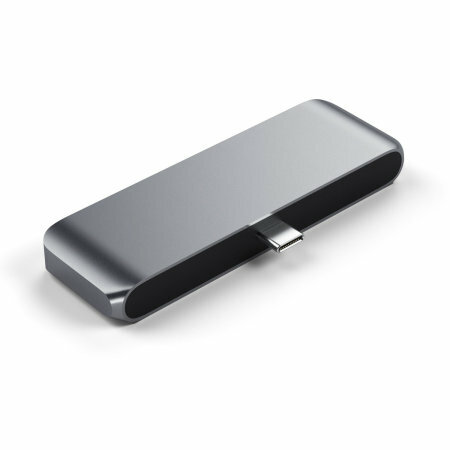 Unlike earlier standards of USB connections, the USB-C connector is fully reversible and so can be inserted into a USB-C compatible computer with ease.